This also make a nice breakfast, or dessert. Good if you are in the mood for something sweet. 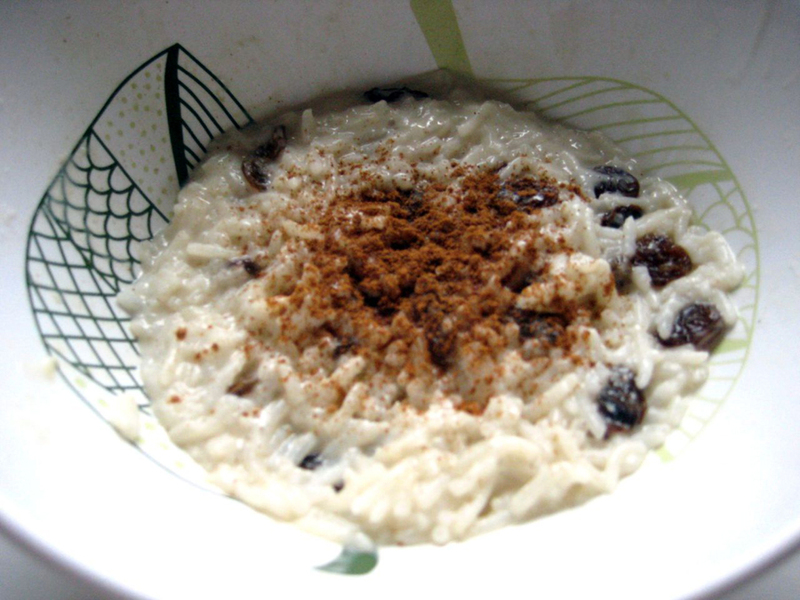 Combine all ingredients except for raisins in a microwave-safe bowl. Microwave on high for 2 minutes. Remove from microwave, stir in raisins, and allow to sit for about a minute. Enjoy.